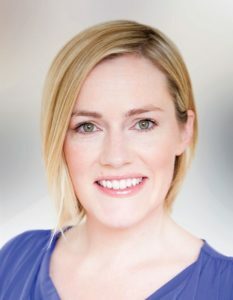 Emma Blain was co-opted to Dún Laoghaire Rathdown County Council in June 2016 to replace Senator Neale Richmond upon his election to Seanad Éireann. A former journalist with the Sunday Independent and Evening Herald, Emma has also worked as Dublin Press Officer and Head of Digital, for the Fine Gael Party. Originally from Ballinteer, Emma was educated in Taney NS, Dundrum, Wesley College, Ballinteer and UCD. She is married to Andrew, also from Ballinteer, and they have two small children. Emma is committed to following Senator Richmond’s efforts in the areas of sports and recreational facilities, better planning and greater supports for local businesses.